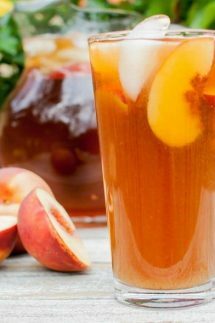 It’s so simple and easy to make, Peach Iced Tea Recipe made with real peaches and only three ingredients! If you’re looking for more thirst quenching ideas for summer then what about some Homemade Strawberry Lemonade, or maybe you could try these Blackberry Lemon Tea Pops from Homemade and Yummy. 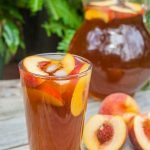 It's so simple and easy to make, Peach Iced Tea made with real peaches and only three ingredients! Remove from the heat and let sit for 30 minutes or so, then put the whole mixture in a blender or food processor and whiz it all up! If you make sweet tea then it will be very sweet when you add the peach syrup, but it's really up to you! Will make 2 - 4 8oz glasses depending on how much syrup you add. This looks amazing! Being a born and raised southern girl, I’m totally familiar with tea flavored syrup! 🙂 I grew up on it, but we never ventured far from basic black tea with lots of sugar. I don’t know why the flavored teas never made it to our table. I’ve pinned and THIS will be on my table this summer when the fresh peaches arrive! Thanks for sharing. Sooooo excited to try this! I love iced tea and now my daughter is onto the kick. Cannot wait for peaches to come in season. Definitely looking forward to summer and ice tea, this should do! 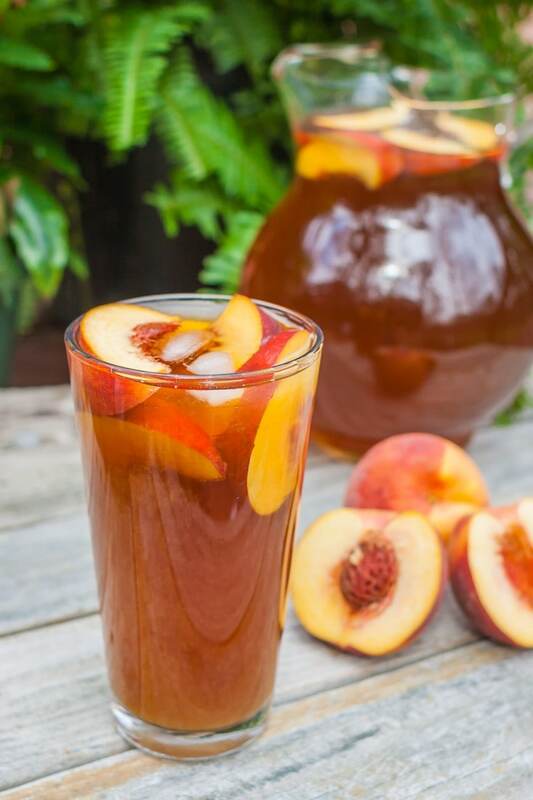 I agree that fresh peaches always make a dish or drink better, but this tea looks so refreshing and tasty that I would definitely go either route! I haven’t had a good tea in awhile, time for me to make this! I love sweet tea, of course being from the south…. and when you add peach to it … it’s the best. But I have never seen a recipe with fresh peaches and I absolutely LOVE the idea. THANKS! Pinning for sure. I’m ready for peach season!! I love tea and have a dozen types on hand at all times. But adding fruit syrup to iced tea has never occurred to me. And fresh peach syrup? Wow! Can’t wait to try this when peach season hits this summer. 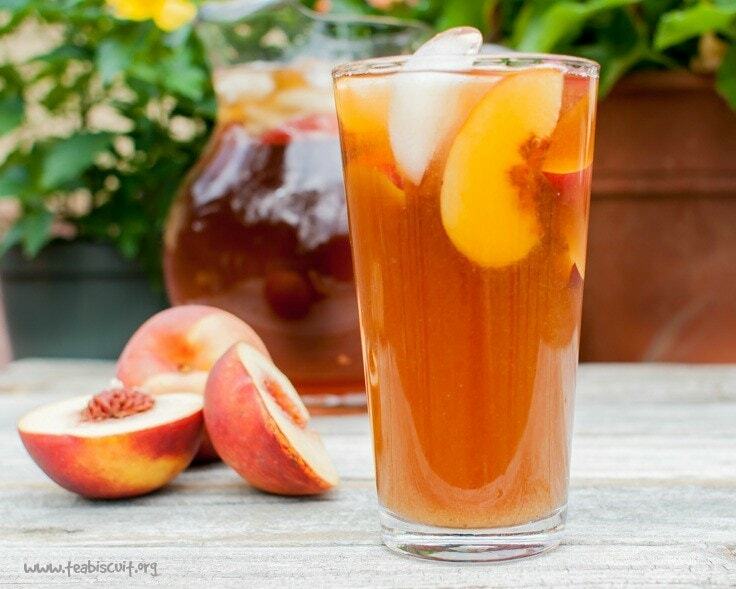 This sweet peach iced tea looks delicious! Need to make some soon!